Twas the weekend before Christmas and all through the house, not a creature was stirring not even a mouse. Do you know why that is? It's because you're all out getting last minute gifts, and getting ready to go into a food and presents coma. There are lots of fun events happening before the "big day". So be sure to get out there this weekend with the family and enjoy some fun things to do together. Here are this weekend's picks. Bee sure to check out this be boppin' buzzin' event at Culture Project in Noho. Maya the Bee is a wonderful jazz puppet show for children and adults. It is the story about a rebellious little bee who flies from the hive in search of adventure and encounters her own heroism. The show takes place on Saturday at 10:30AM. The cost is $25. Puppetworks in Brooklyn will perform these classic stories just in time for the holidays. The Steadfast Tin Soldier is a tale by Hans Christian Andersen about a tin soldier's love for a paper ballerina and the adventures he goes through to be with her. The puppets will also bring to life the Nutcracker Sweets, Tchaikovsky's Land of Sweets dances. The puppet show will take place on Saturday and Sunday at 12:30PM. The cost is $5, no credit cards are accepted. Reservations are suggested. 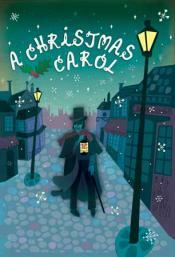 Come see a lively musical adaptation of the classic Dickens tale. Watch the stingy old Scrooge get visited by four ghosts; his old business partner Marley, and the ghosts of Christmas past, present and future. See what happens when he gets a glimpse of his own future if he doesn't change his life. The Players Theatre in the Village features this special holiday show with a story so warm it will melt the cold heart of even the grumpiest Scrooge. The show takes place on Saturday at 11:00AM and 2:00PM and Sunday at 11:00AM. Tickets cost $45 for first 4 rows; $35 for second 5th - 10th rows; $25 for all other seats. The South Street Seaport's cobblestone streets are all aglow for the holidays. You can check out the Seaport’s Historic District and enjoy performances by the Mistletones Carolers. They are a professional a cappella group who will be performing on Pier 17 on Saturday and Sunday from 12:00PM to 2:00PM singing holiday classics. The Big Apple Chorus will also be performing on Saturday at 12:30pm outside of Pier 17. This is the 29th year The South Street Seaport is presenting holiday music and cheer for visitors and neighbors alike. The Flushing Town Hall is featuring the holiday classic The Nutcracker. Tchaikovsky’s classic music comes to life and introduces children to the story of Clara’s Nutcracker. You can watch the Enchanted Forest with its magical dancing snowflakes, and the wondrously beautiful Sugarplum Fairy in the Kingdom of the Sweets. The show takes place on Saturday at 1:00PM and 3:00PM. The cost is $16 for adults, $12 for members. Children cost $12 and $10 for member children. Lions and Dragons and Santa Oh My! Starting at 2:00PM from the intersection of Canal and Mulberry Streets one of the largest and most colorful, festive processions will be on display for all to enjoy. The parade will feature floats, marching bands, Chinese Lion and Dragon Dance troupes, singers and of course, Santa Claus. This parade brings together the neighborhoods and cultures of Italy and China in a most spectacular fashion. Taking place on Saturday from 2:00PM to 5:00PM. It is free for all to enjoy. Your whole family can enjoy this magical Christmas tale in which a worthy young girl is transformed by Grandfather Frost (the Russian Santa Claus) into the beautiful Snow Maiden. This show is performed in Russian with English subtitles. This delightful children's extravaganza incorporates traditional Russian songs, dances and elaborate costumes to create a winter wonderland. Every child gets a Christmas candy gift box. Yum, or in Russian ням! The show takes place on Saturday at 6:00PM in Brooklyn. Tickets cost between $35 to $55. Everyone loves to hate and then love this mean green holiday character. Discover the joy of Dr. Seuss’ classic holiday tale as it comes to life on stage. At Madison Square Garden this show which features the hit songs “You’re A Mean One, Mr. Grinch” and “Welcome Christmas,” The Grinch discovers there’s more to Christmas than he bargained for in this heart-warming holiday classic. The show takes place on Saturday and Sunday at 1:00PM, 4:00PM and 7:00PM. Tickets cost between $40.00 - $149.00. Get your Xanadu on! The Brooklyn Lyceum is having a fun family skate party. You can drop in for a fantastically fun-filled day of skating and dancing. The 70's are coming back for the afternoon. Grab your skates and head over for some fun. The event takes place Sunday from 2:00PM to 6:00PM. The cost is $5. Nestled in Damrosch Park at Lincoln Center the Big Apple Circus is there and ready to excite the whole family. 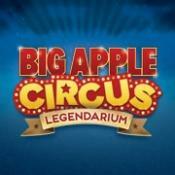 In honor of the momentous 35th Season, the Big Apple Circus is proud to present a brand new show: Legendarium. They invite you to take a back flip through time and learn more about this thrilling celebration of Big Top history. The show takes place on Saturday and Sunday at 12:30PM and at 4:30PM. Tickets cost between $25 - $175.